The European Foundation of Human Rights (EFHR) which for 5 years has been providing free legal assistance in cases related to infringement of human rights, on 29th of September invites for free training entitled “Freedom of speech: realization and limitations”. It will be the second part of training- the first, held in June was dedicated to application of the international law and the European Union law about the discrimination in Lithuania, more info you can find here and here. The trai ning course will be conducted by attorney Evelina Davidavičiūtė who has been working in her profession for 9 years and has got extensive experience in litigation processes in various legal disciplines. The attorney has been conducting trainings and workshops for 3 years for students and people who professionally deal with law. During her training she shares both theoretical and practical knowledge. Freedom of speech –what is it ? The foundations of freedom of speech limitations. The realization of freedom of speech and its restrictions in the European Court of Human Rights practice. The realization of freedom of speech and its restrictions in jurisprudence in Lithuania. The training course is aimed at everyone interested in the topic of human rights. We would like to invite lawyers, attorneys, prosecutors, non-governmental organization employees, students and everyone who is willing to expand his knowledge in this field. All participants will receive a certificate of participation. The trainings will be held both in English and Lithuanian. 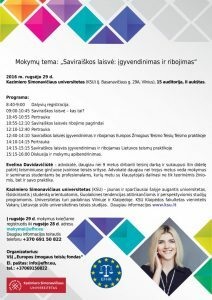 The training course will be held in auditorium 15 in Kazimieras Simonavičius University (Kazimiero Simonavičiaus Universitetas), J. Basanavičiaus st. 29A, Vilnius. 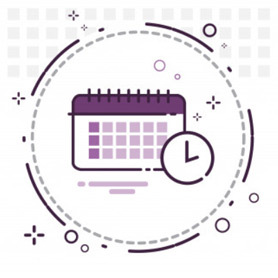 It starts at 9 a.m. and finishes at 4 p.m.
Kazimieras Simonavičius University (KSU) – modern and the most vigorously developing university in the country, which distinguishes itself by student’s oriented, meeting current trend and prospects courses. The university has got two departments- in Vilnius and Klaipėda. The department in Klaipėda is the only one in western region of Lithuania which offers law courses.